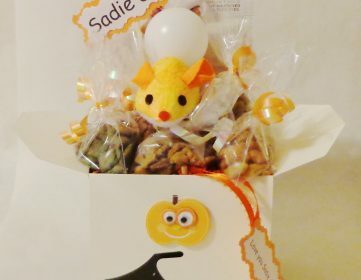 This Halloween treat and toy gift basket is made with care and love for your kitty. 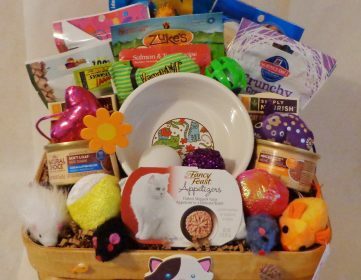 It contains (6) ½ oz bags of treats, (1) bag Purina ProPlan Crunchy Bites, a yellow and orange cat nip mouse and a ball. 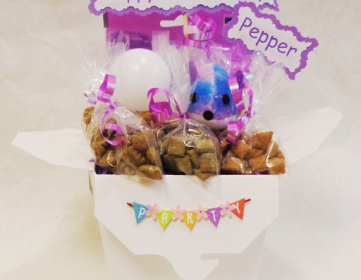 Treats may include Science Diet, Pro Plan, Party Mix, Cloud Star, Zukes, Greenies and Whiskas. 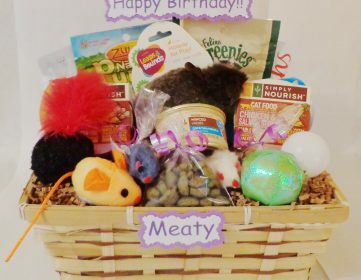 If your kitty requires a special diet please contact me and I will do my best to accommodate their special need! 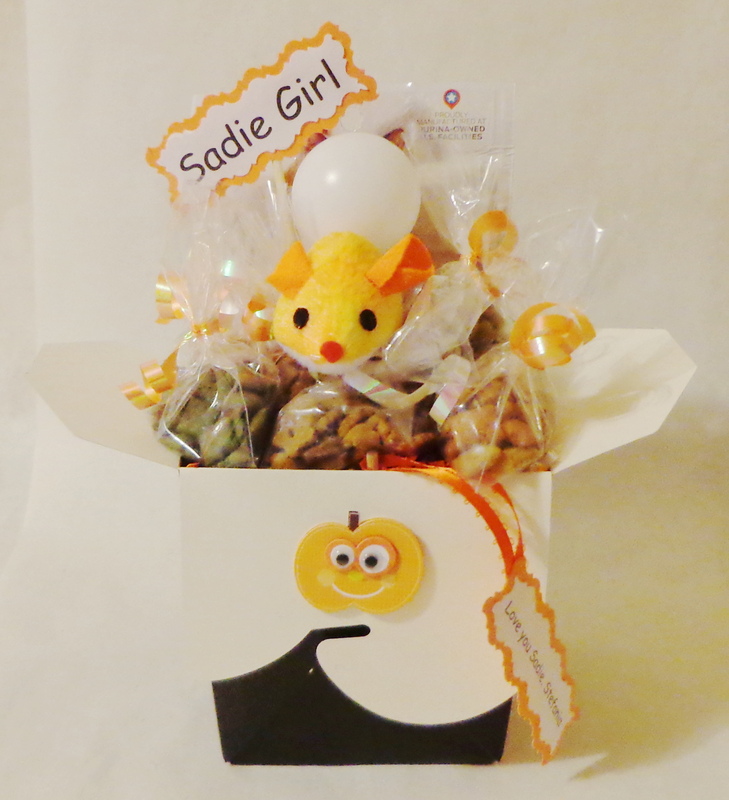 SKU: Small Cat Halloween Basket. 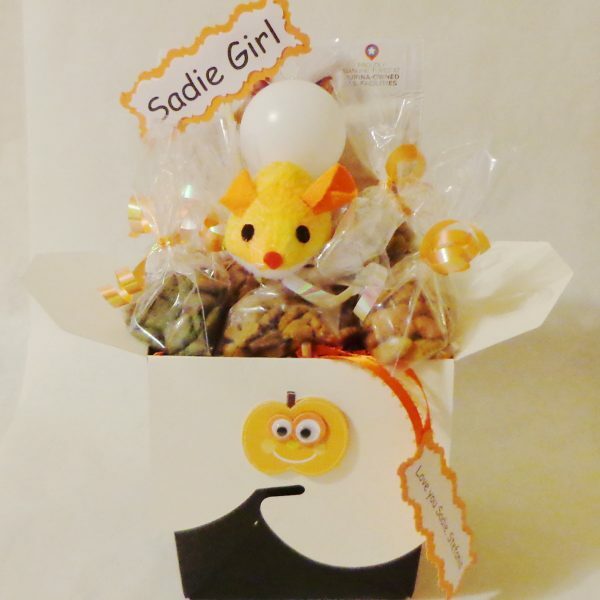 Categories: Cat, Halloween, Holiday.